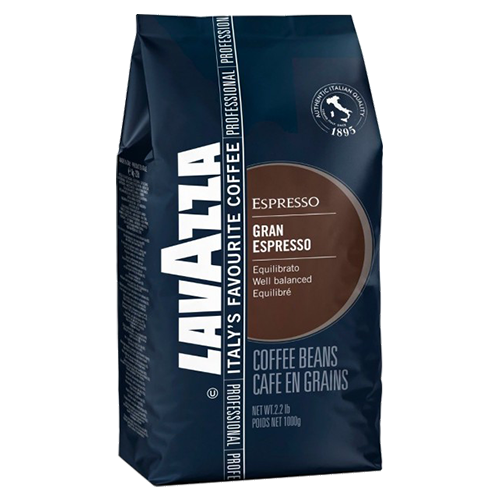 Lavazza Gran Espresso coffee beans is a blend of the finest Arabica beans from South and Central America and washed Robusta beans from Asia and Africa. This gives a coffee with a very rich and strong but not bitter taste. This rich blend is especially liked by espresso consumers who like a creamy Italian espresso with a pleasant aftertaste. Gran Espresso is a coffee with a great body and a strong chocolaty aroma with hints of sweet fruitiness.